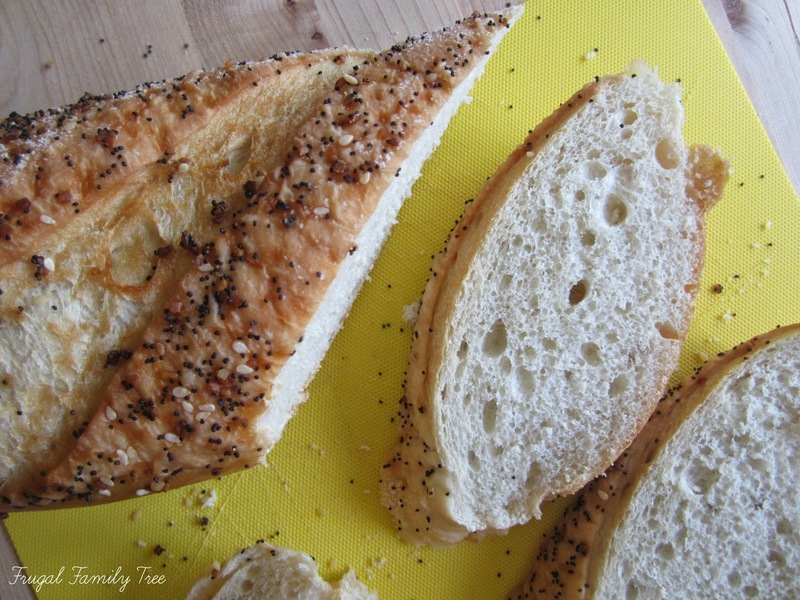 If you are anything like me, you can think of lots of different ways to use delicious Philadelphia Cream Cheese. 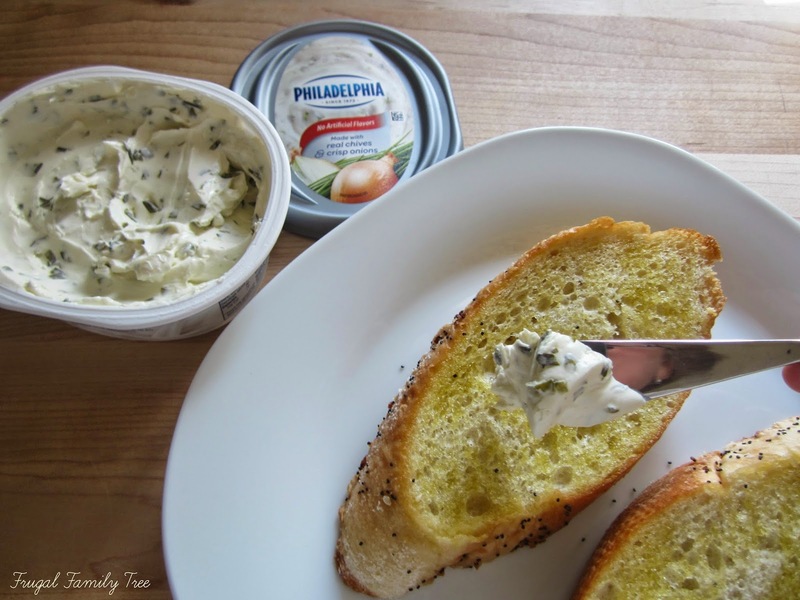 It's my absolute favorite spread for bagels, great for cooking and baking, and this new Philly Chive Onion Cream Cheese is perfect for making onion topped bruschetta. A couple nights ago, my family and I managed a spur-of-the moment dinner together. This means lots of laughs, lots of good food, and the chance to make some yummy pre-dinner bruschetta, to go along with a glass of wine. 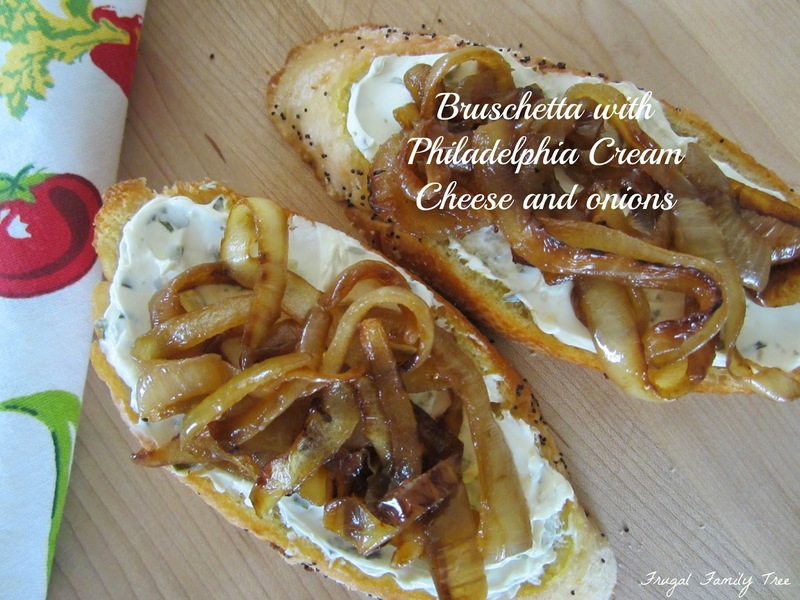 My grown-up kids and I are all devoted onion lovers, so I knew bruschetta with caramelized onions and yummy chive onion flavored Philly cream cheese would be a big hit. 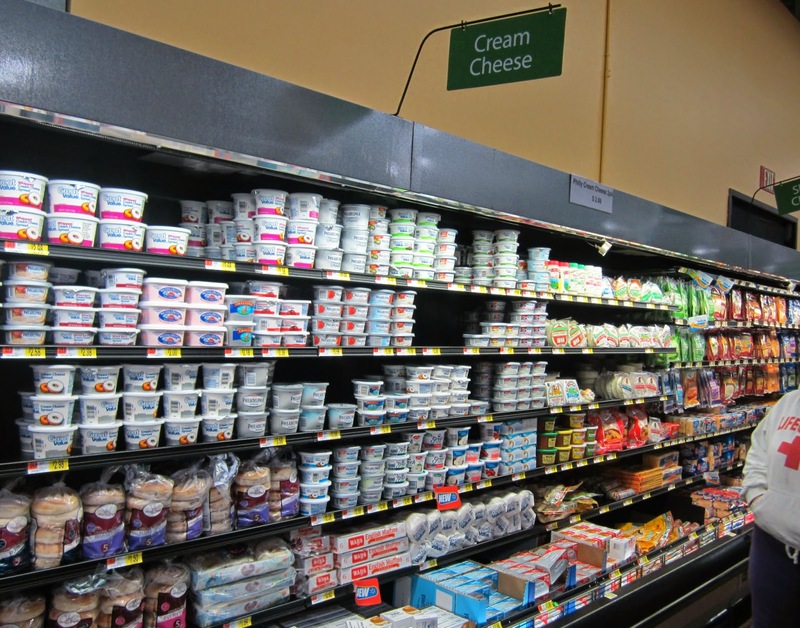 When I was doing my grocery shopping at Walmart, I picked up my weekly stash of Philly Cream Cheese for our bagels and toast. But then I saw this new tub of Philadelphia Cream Cheese, made with real chives, and crisp onions. The onion lover in me couldn't pass this up, so I bought some just baked French bread from the Walmart bakery to go with it. On the night my family and I got together, I made a big pan of caramelized onions to go on top of the bruschetta. It takes patience to cook caramelized onions, but I think it's well worth the time involved because of their wonderful taste. I sliced two large onions and put them into a frying pan with several tablespoons of olive oil. I added a pinch of sugar to help caramelize them and a pinch of salt. A great tasting French bread is the basis of making great bruschetta. I always slice mine on the diagonal, brush it with olive oil, and pop it in a 400 degree oven for 5-7 minutes. 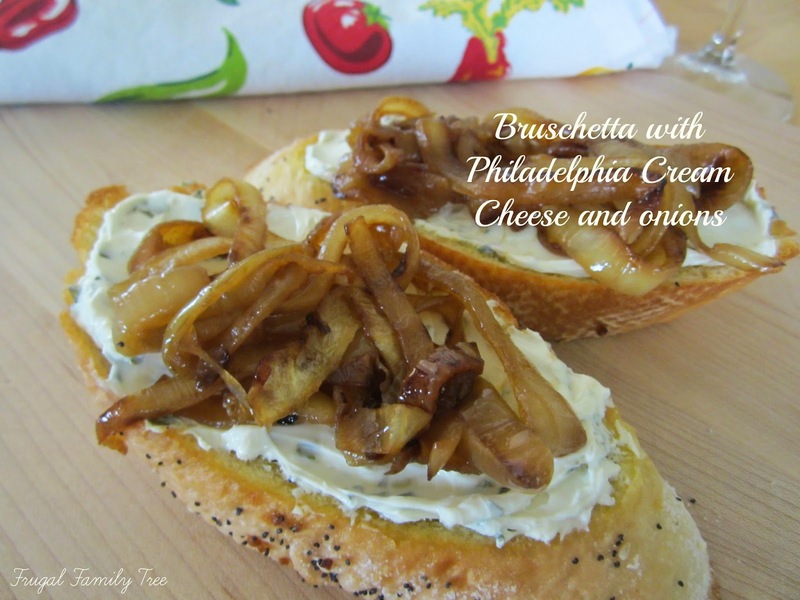 Plenty of real chives and onion goodness make this Philly spread so yummy. I put on a nice layer of it on the toasted bread, and then topped it with the onions. You can also find the 8 oz. tubs of Philadelphia Cream Cheese at Walmart, in Garden Vegetable, Jalapeno, Strawberry, and Blueberry flavors. I can't wait to try the fruit varieties and #SpreadTheFlavor on my bagels and French toast at breakfast. I enjoy Philly Cream Cheese on so many things, and love that it's made with no artificial ingredients. Everyone loved the bruschetta, and there wasn't one piece left. I loved the taste of the cream cheese, and it was so good topped with the onions. I can't wait for summer to come around, and all the barbeques we enjoy having. I'll definitely be making this again for my family and friends. And I'll be stocking up on all those delicious Philly Cream Cheese flavors. 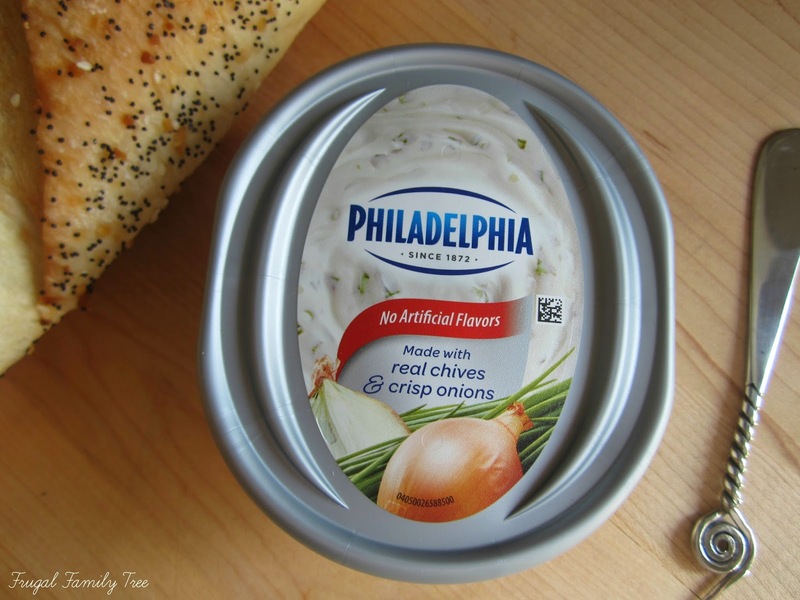 What's your favorite way to enjoy Philadelphia Cream Cheese? Oh boy this looks soo good! 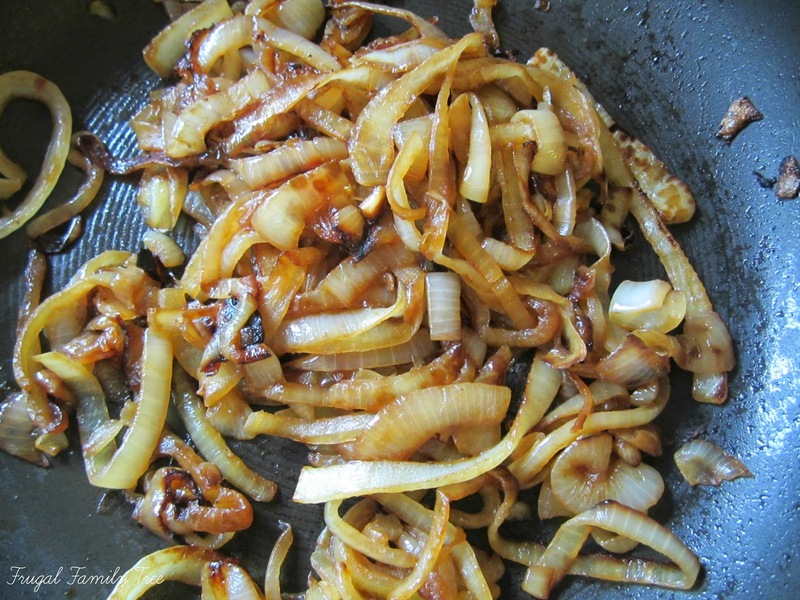 Im a big fan of caramelized onions! Thanks for sharing!